Engaging parents can drive pupil progress, but what can schools do to overcome communication barriers? It is well known that parental engagement impacts a child’s education, not just academically but emotionally and in terms of confidence too – their all-round development. The challenge for schools arises when there are problems in effectively engaging with parents. The examples drew nods of acknowledgement around the room and highlighted the importance of the need for schools to identify the obstacles in communication so they can begin to understand how to overcome them. Fiona moved on to talk about other barriers that can come from within schools. Staff workload: staff are under pressure from a heavy workload and parental engagement can seem an extra task to ‘add on’. Fear: staff may be scared of making a mistake with parents or making a situation worse. Lack of training: staff may be unsure of how to handle difficult conversations with parents. 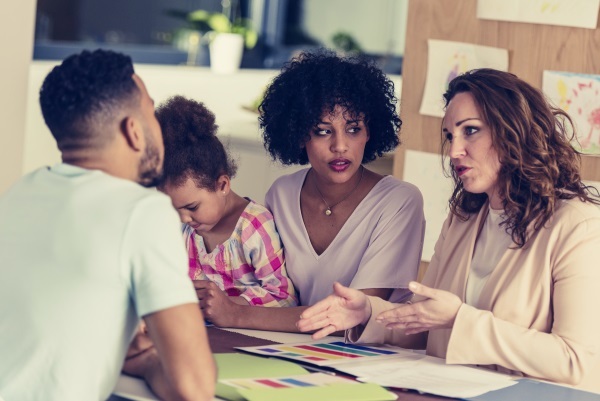 Kate Greig, headteacher at King Ethelbert School in Thanet, Kent, shared an inspiring case study on how her school successfully reached parents with negative experiences of their schooling and the strategies used by the school to turn their perceptions around. Kate’s session emphasised what became a common theme running through the day; how vital it is to engage parents early and set school expectations of them. A school culture where parents feel part of the school will lead to whole school improvement. A panel discussion involving Kate, Alan Brookes, headteacher of Fulston Manor School and Mario Lopez-Goicoechea, extended schools leader, parent support adviser and parent college manager at Honilands Primary School, focused on overcoming cultural barriers to sustain continuous engagement. Answering questions from attendees, the panel covered areas such as EAL, families newly arrived in Britain and using cultural differences as a tool to enrich the education of pupils by broadening their outlooks. The discussion was complemented and built on by Diane Leedham, writer, teacher and consultant for EAL and equality and diversity in her session on overcoming language barriers with EAL families. Diane gave lots of useful advice on building partnerships and specific examples to overcome communication barriers such as bilingual welcome booklets and inviting parents into school for bilingual activities such as storytelling or a musical evening. It’s important to think of cultural differences as opposed to cultural barriers. These and other communication barriers were further explored throughout the day in a series of streamed sessions and discussions to help develop strong relationships and work in partnership with parents to improve pupil outcomes. An array of issues such as making a positive impression when initially contacting parents, holding difficult conversations and working effectively with parents to improve literacy and drive pupil progress were covered by a great mix of school case studies from headteachers and speakers from the Parental Engagement Network (PEN). Emma Beresford, director of PEN, gave examples of the work they carry out in engaging parents with literacy, such as creating reading workshops for the families as well as pupils, and discussed how schools can embed this work in a way that can be measured and evaluated. Parents must engage with schools, but schools must provide the lines of communication and ensure parents are aware of them. Schools have their own vision which doesn’t belong to the headteacher, but belongs to the whole school and can only be achieved through a whole-school approach which includes working with parents. Parents should be seen as true partners. 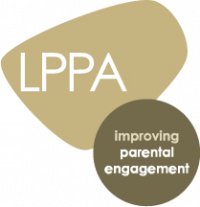 ‘Parental engagement is the most powerful lever of school improvement’, Fiona said. After hearing from those at the conference, speakers and schools, it’s hard not to agree. To find out more, visit the AwardPlace website.